Every month Logos Bible Software gives away a free title and this resource is the one for July. Professor Tom Schreiner is an excellent interpreter of the New Testament who writes understandably and leads readers to worship Jesus whom they encounter in Scripture. This particular resource is very helpful in answering questions that surround the relationship of Christians to the Old Testament Law. Don’t miss this excellent resource and please tell others! This FREE offer is only available through 7/31. 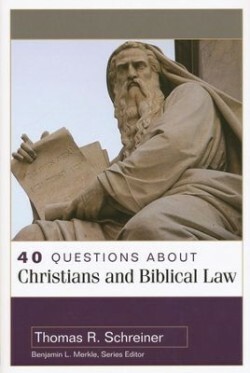 Thomas Schreiner explains the interplay between Christianity and biblical law in this excellent addition to the 40 Questions & Answers series. Schreiner not only coherently answers the tough questions that flow from a discussion about Levitical law, but also engages students in a clear style. Questions include . . .
What does the word “law” mean in the Bible? Does the Old Testament teach salvation by works? Does Paul teach that the Levitical law is abolished? Does Paul’s teaching on justification contradict Jesus’ message? Do James and Paul contradict one another?